Dumpster cleaning is essential to any business / restaurant owner. 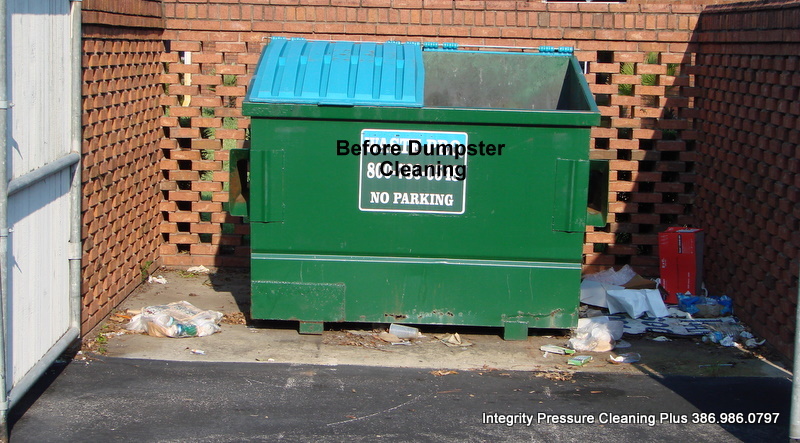 Integrity Pressure Cleaning Plus cleans dumpsters first with chemicals then hot water surface pressure washed. We offer a service agreement to maintain weekly, bi-weekly, or monthly. This controls bugs, rodents, and bad smells along with keeping a business / restaurant sanitary.